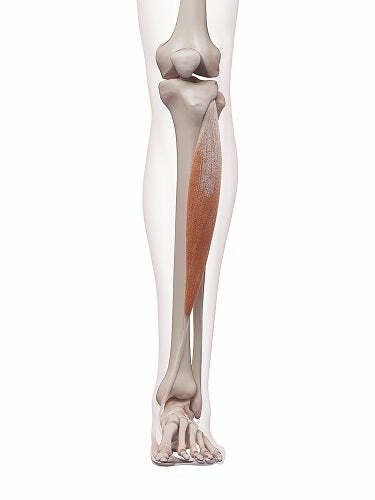 The tibialis anterior originates at the upper surface of the tibia (the major bone of the shin). It inserts on the underside of the medial cuneiform bone of the foot (almost in the middle of the foot). Ankle joint flexion (dorsi flexion) - raising the foot toward the shin.